Best Sea Salt Sprays for Beachy Waves! If bombshell beachy waves are your thing, a sea salt spray is an essential. The effortless waves made popular by Blake Lively and Giselle do require some (if minimal) effort. But how to choose between all the sea salt sprays available? 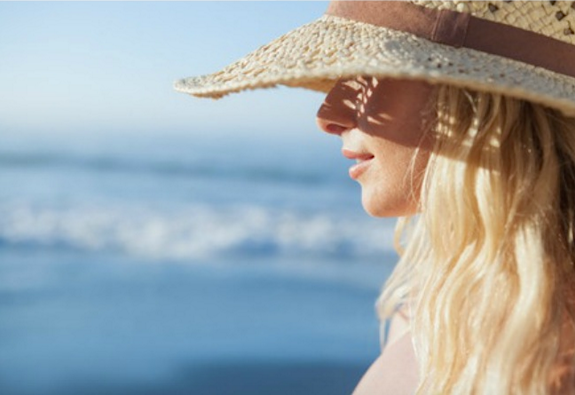 I’ve come up with 10 of the best sea salt sprays for beachy waves! By their very nature, sea salt sprays can be drying. The salt pulls moisture out of the hair shaft…and that can leave hair feeling dry. Some products add in oils or extracts to keep hair conditioned, while still adding texture. Using a sea salt spray is easy; just spritz onto damp hair, and air dry or use a diffuser with your hair dryer (I’ve been using the Conair Infinity Pro hair dryer; it’s super light and it comes with a bonus diffuser!). You can also spray into dry hair, or “second day hair” and scrunch. I found that I really had to play around with how much product to spray in, so as not to weigh my hair down. My hair is usually stick straight, so I welcome the addition of a texturizing product that gives my medium bob a tousled, wavy look. Bumble + Bumble Surf Spray – the first (and original) texturizing spray, this spray has a gritty texture to it, so it’s best applied from the middle of the hair shaft to the ends. This is a great pick for thick hair. TRESemmé Perfectly Undone Sea Salt Spray is lightweight and non-sticky. I find this one best to use on hair that is either already dry or almost dry (directions recommend 80% dry and I agree). Nice scent, too. OGX Moroccan Sea Salt Spray – This formula adds Moroccan argan oil and a blend of sea salt and sea kelp to leave hair textured, with fullness and shine. Smells amazing; my top pick for curly hair. Got2b beach trippin’ salt infusion waving spray is the lightest spray I tested, making it a great choice for fine hair. The formula didn’t leave my hair sticky. Look for this spray at Walgreens. R+Co Rockaway Salt Spray has a formula full of g00d-for-your-hair ingredients. Adds piecey texture, is non-drying, plus has an addicting fruity-citrus scent. No buildup with this one! Herbivore Botanicals Sea Mist Salt Spray (Coconut) definitely has the “summer in a bottle” scent going for it. 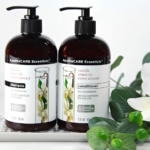 The all natural formula with Aloe means it won’t dry out hair. My favorite! Kerastase Spray à Porter offers not only beachy wave texture, but offering the extra benefits of UV and heat protection. My pick for color-treated hair. 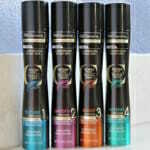 Redken Fashion Waves 07 Spray can be used wet or dry and gives medium texturizing effect. Has a pretty scent and is a good choice for naturally curly hair. Sally Hershberger Beach Glam Mineral Wave Spray uses 24K Pure Gold Elixir and natural minerals to add salt-free volume, body and shine to hair. Find it at SallyHershberger.com. Oribe Après Beach Wave and Shine Spray uses oils and extracts to add shine (best of all the sprays I tested), volume, condition hair and impart texture. And the scent? Heavenly! A splurge but totally worth it! Are you a fan of salt sprays for beachy waves? Which is your favorite? Banish hair issues with these new styling helpers! 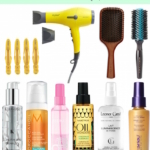 Spring + Summer Hair: The hair products you need now! 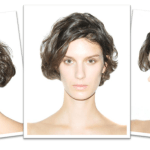 Blowout Basics: Tips and Stylers for Pro-Results at Home!